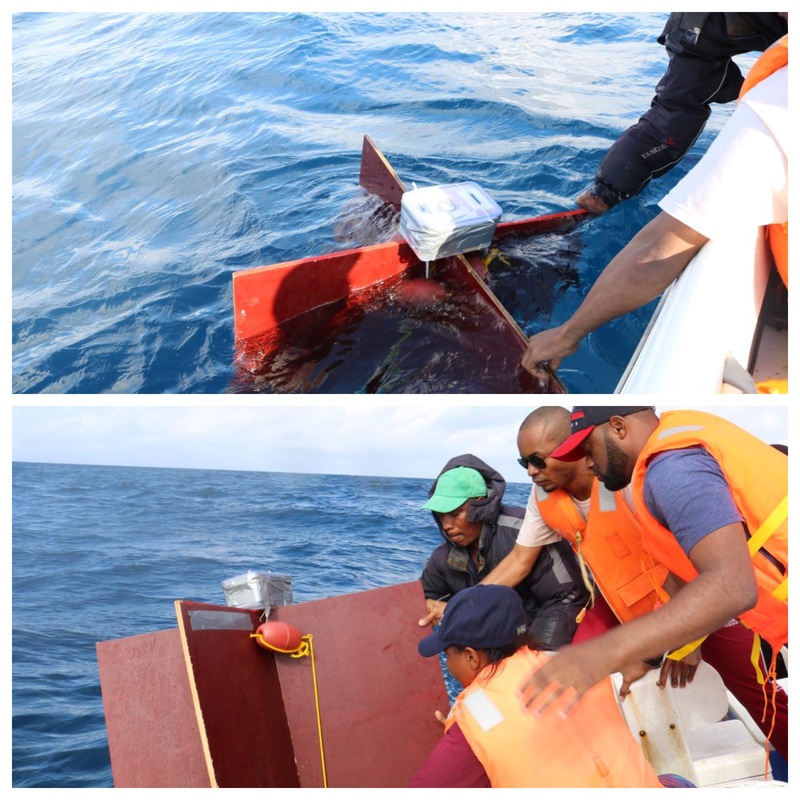 National Oceanography Centre scientists, Dr Matthew Palmer and Dr Gaby Mayorga-Adame, last month joined partners from the Zanzibar Institute for Marine Sciences (IMS) to undertake a drifter experiment as part of the GCRF-funded SOLSTICE-WIO programme. The experiment used nine simple surface drifters that were constructed from inexpensive, off-the-shelf electronics, and locally available materials, to identify the complexity of flow in the lee of Pemba Island, north of Zanzibar, during the South-East monsoon season, the most energetic period for this part of the West Indian Ocean (WIO). The objectives of the deployment were twofold. First, to better understand the small-scale dynamics of the flow of the Pemba Channel, which is not typically covered by established global drifter programmes; and second, to identify possible challenges and risks ahead of a more comprehensive SOLSTICE observational campaign due to take place in 2019, that will include deployment of submarine gliders from the NOC’s National Marine Facilities – Marine Autonomous and Robotic Systems (NMF-MARS) fleet. Zanzibar and mainland Tanzanian coastal communities are dependent on local small pelagic fish (anchovies, sardines, mackerel, threadfin and herring) for food and income. The abundance of these fish varies from year-to-year, and these fluctuations may be linked with changes in the climate and marine environment, which can affect the food supply for both larval and adult fish. However there has been limited scientific research in this region, and consequently knowledge of the physical and biogeochemical mechanisms supporting these important fisheries is largely based on remote sensing and existing model data. The drifter experiment successfully identified numerous physical features, including the fast-flowing central currents associated with incoming WIO waters, and persistent eddies in the lee of small islands and outcropping shallow reefs. Tidal modulation of these features was clearly evident, and the drifters that managed to exit the Pemba Channel also identified the time dependency of flows into Kenyan waters to the north. These data will now be used - along with high resolution remote sensing data - to validate regional scale models to identify physical mechanisms contributing to productivity in the region. In total, three separate deployments of three drifters were made over a two-day period, timed to capture the changing tidal and meteorologically driven dynamics in the Pemba Channel. The drifter deployments were made possible by the assistance of the Pemba Fisheries Department and Fisheries Patrol.